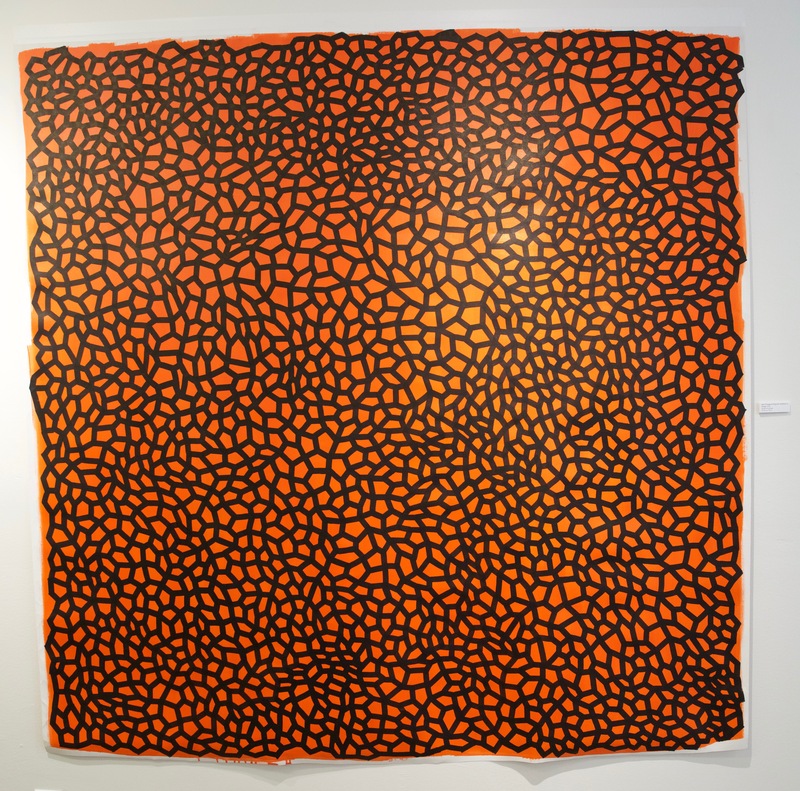 Active Fields was Kawandeep Virdee's first Solo Exhibition, an installation of 12 large scale paintings. The works explored themes of public space and post modern artist narrative in procedural drawing. I assume the gesture of a computer. My hand dwells in the repetition of drawing simple lines over and over. I am processing, I am calm. 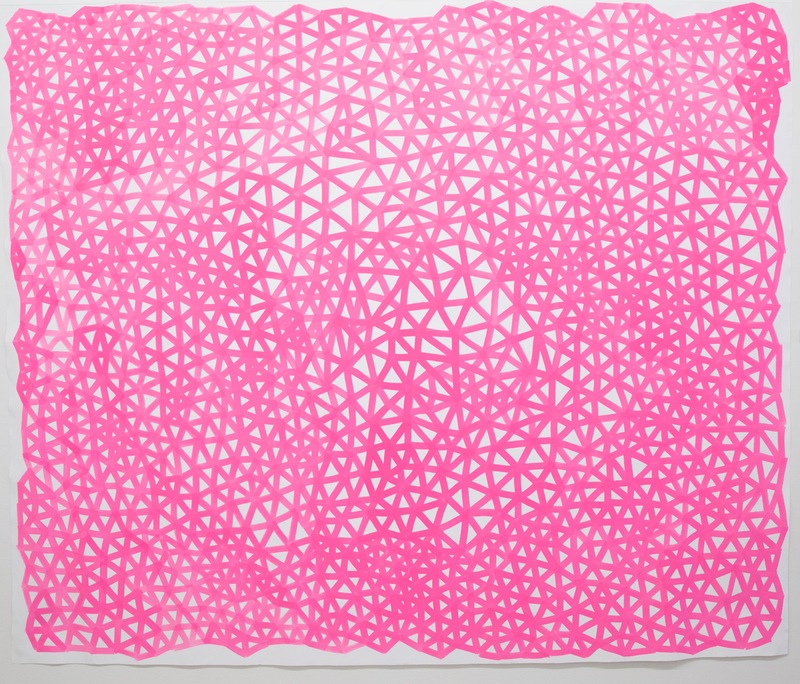 Active Fields brings together a series of procedural drawings informed by the processes of minimal computer art and geometric repetition. 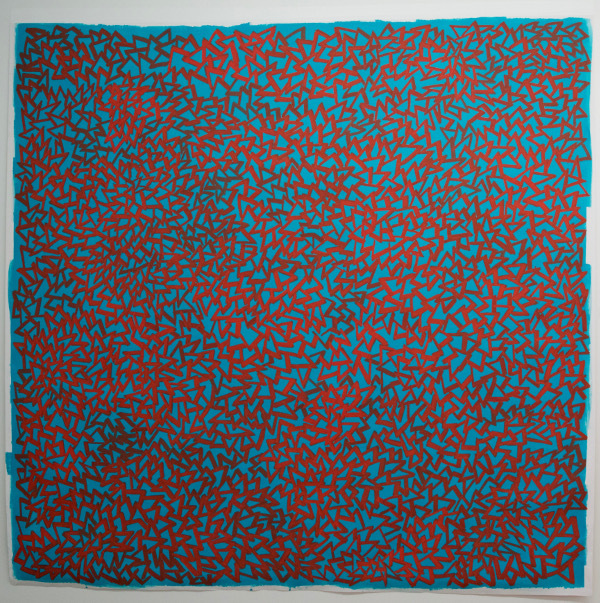 Such patterns produce a striking order, predictability, and tedium. When rendered by computer, algorithms define the drawings, but by hand, algorithms instead guide the drawings. Decision, rather than rule, determines each stroke, further shaped by the inconsistencies of the hand. 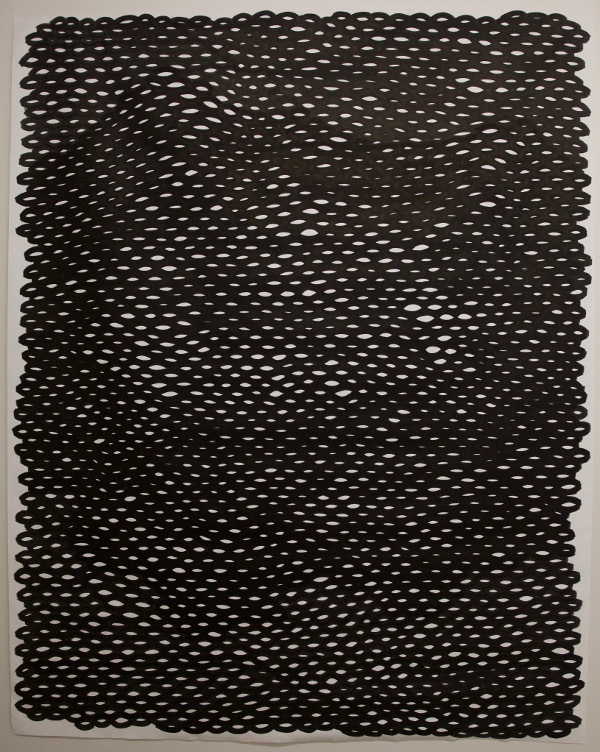 From the subtle variations in each line, unintentional patterns emerge and alleviate the strict order and monotony. These artifacts offer a counterpoint to the contemporary obsession with technological perfection. Procedural drawing is a natural expression, widespread, often generated inadvertently in the margins of notebooks. Here on the canvases they are celebrated- the process, meditations, order, and humanity. Let them be a backdrop or the focus of attention. Copy a pattern, and draw it anywhere. Take the algorithms, and activate them. 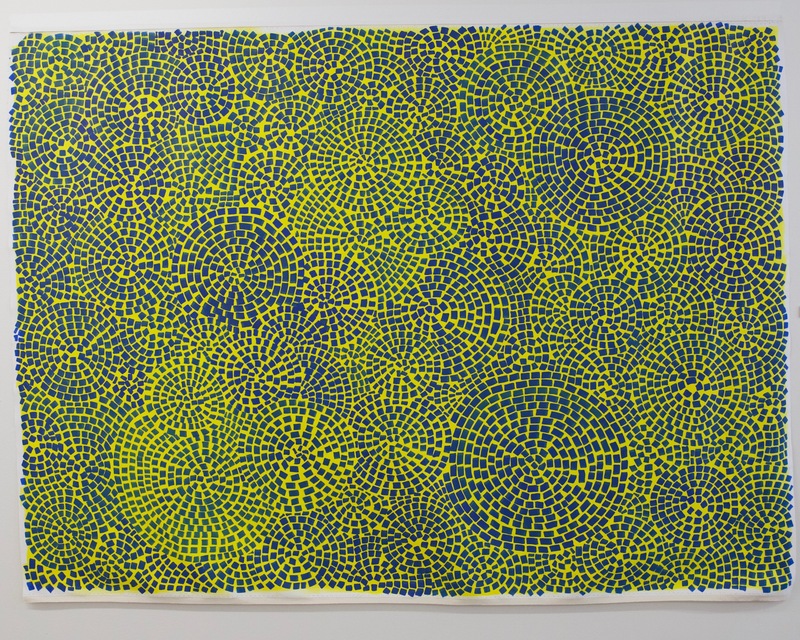 OPEN is pleased to present Kawandeep Virdee’s first solo exhibition, Active Fields. 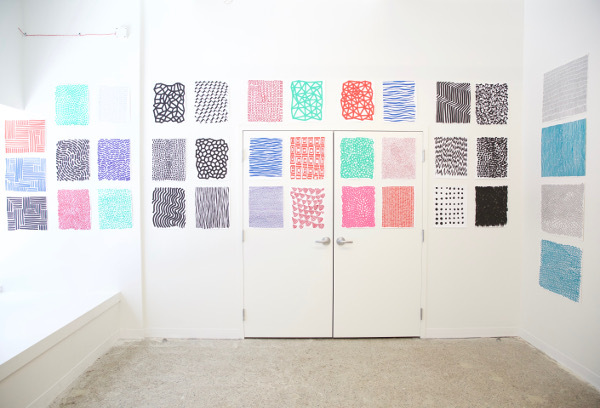 Over the past year, Virdee has created a large body of personal pattern making works, transitioning from the screen-based real-time interactive public internet works he is known for. 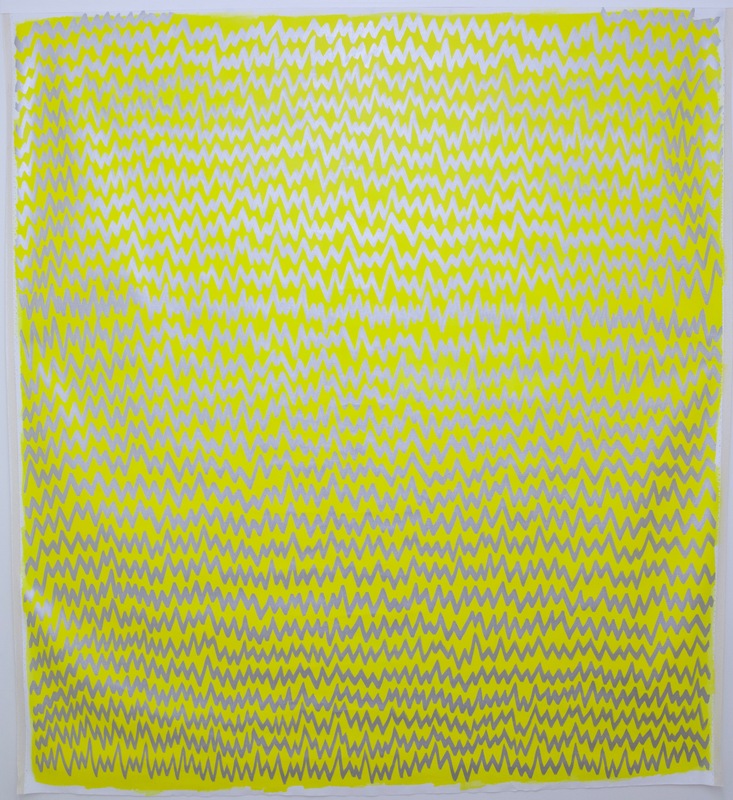 In Active Fields, Virdee has taken that procedural mark making to large-scale acrylic works on canvas that evoke the machinery of his computer-drawn works in software and galvanize the human themes of play that drive his work. Each painting is created from a set of rules that describe Virdee's forms at each point on the canvas. Just as the vector fields of calculus span flows and textures across a plane, Virdee uses the set of rules as a function for what he will paint at each point, and activates that function with his presence as the artist. Virdee manipulates and dis-forms the function, making mistakes, and imbuing each form with the subjectivity of his postmodern hand. In past works, Virdee may have written a function to draw each field with the precision of a computer program. In this body of work Virdee activates each field with his relationship to the procedure. 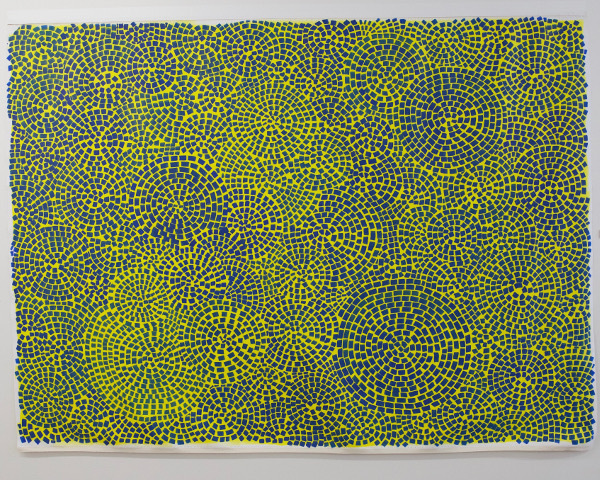 Virdee began the procedural-drawing works in 2015. He was drawn to the repetition and meditation of method in this exploration of his relationship with public works on the screen. 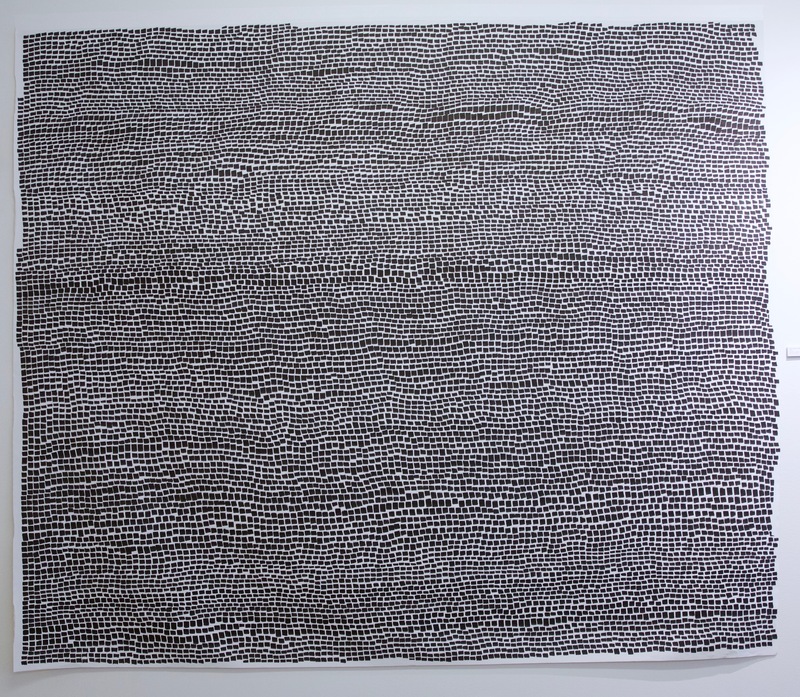 Several pattern and sound driven online web installations emerged in response to the procedural mark making, including Blanket (2015), Rising (2015), and Glide (2015). Now, hundreds of drawings later, Virdee will leave the medium of drawing on screens with code to install his first "analog" show. 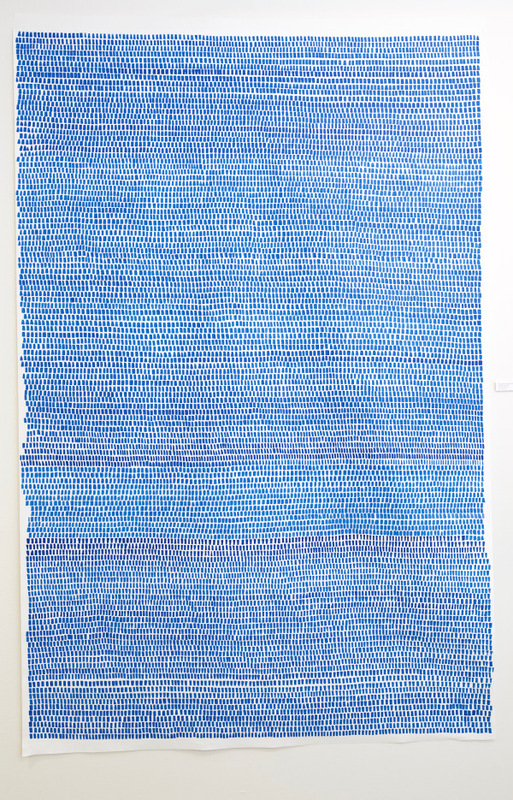 The tension between overt auras of machinated repetition in method and the surprise of play in the artifacts introduced by the variations of the painter's hand is immediately apparent in Virdee's work. We are at once drawn into the perfect self mimicry of each pattern and invited by the artist’s hand-work to engage with, interrupt, and copy that cycle. 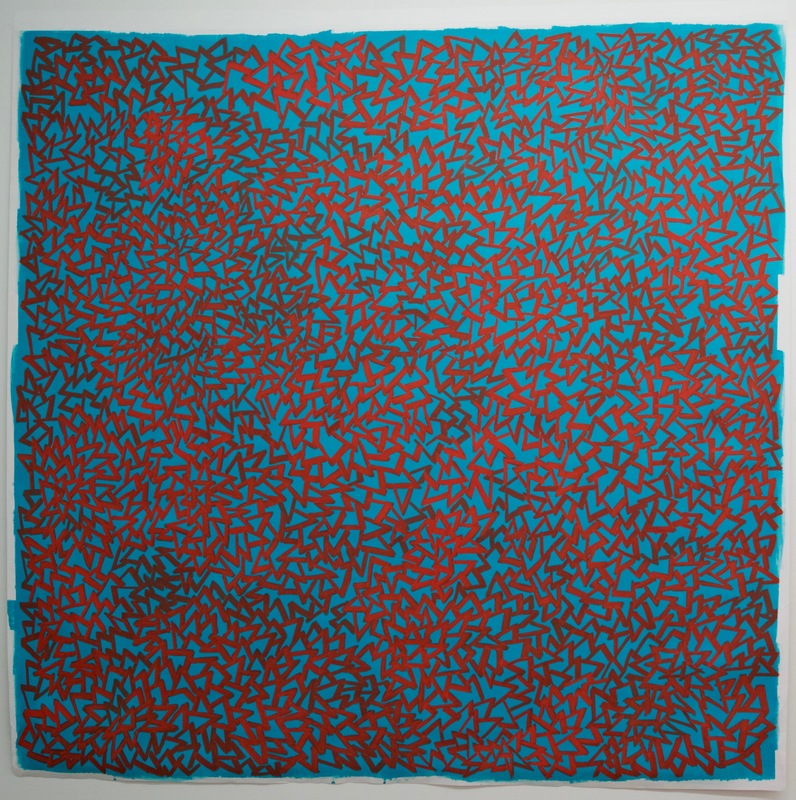 Active Fields is reminiscent of the instruction-based works of mid 20th century conceptual art. Viewed as computer or internet art, Virdee's large-scale works on canvas paint an important counterpoint to the contemporary period’s obsession with the perfection of screens, and the rigidity of online public life. The works invite the audience to engage in an interrogation of personal beauty in a society mediated by the network. Viewed as classical works, Virdee’s Active Fields challenge the reductive miasma of modernity with active expressions of the artist in a minimalist-esque rule space. Kawandeep Virdee (b. 1986) received his bachelors in Physics and Applied Mathematics from George Washington in 2008. Virdee’s work has shown in venues including the Massachusetts College of Art and Design, Rose Fitzgerald Kennedy Greenway, Boston Convention Center, Sculpture Visions in Chapel Hill, SFMOMA, Detroit Design Festival, Art & Sol in Saginaw, Suffolk University, Transmediale in Berlin, the MIT Media Lab, and EYEO/Northern Spark. He has given talks and workshops at MIT, the International Conference on Complex Systems, the Connected Communities Symposium in Newcastle, the Art Institute of Boston, Tech@State, Betascape at MICA, A Better World By Design at Brown/RISD, RobotsConf, IstanbulHS, Makerland in Warsaw, and JSConf. His work has also been covered in publications including the Atlantic, Science, Vice, NewScientist, Make, Core77, the New York Times, the Globe, and Art Digital Magazine.